1. Delegate + ask for help: You don't have to do everything! Even if it feels like you're taking on this whole thing alone, it's way more productive (and more pleasant) if you enlist friends, family, and your fiance for their help. 2. Have an outlet: Have a go-to stress relieving activity? 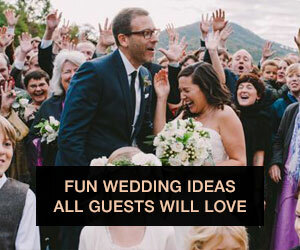 Use it -- especially when you're planning your wedding. It's nice to punctuate your wedding planning time with something that'll take your mind off the big day, even just for a few moments. Whether it's walking your dog, going to yoga, cooking, or shopping, make sure you schedule in some me-time. 3. Talk to friends about something other than your wedding: When your best friends have become your bridesmaids for the next year, it's hard not to talk to them about anything but your wedding. But take the time and effort to stop thinking about your wedding and talk to your friends about something else -- it'll take your wedding stress of your mind, and your friends will appreciate it too! 4. Limit your Pinterest time: A recent survey by the Today Show has shown women are reporting increasing levels of stress. Why? They're comparing themselves to the "perfect" images and lifestyles that Pinterest is so good at portraying. 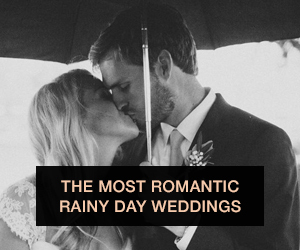 I mean, it is hard not to want the perfect Pinterest wedding -- but you gotta remember it's your wedding, which is better than anything on Pinterest. 5. Keep everything in perspective: It's just one day! You're going to love your wedding day, but it's really just the first day of your marriage -- which is even more important. Photo courtesy of onelove photo.